The further south you go on Playa Hermosa the bigger the waves get. Tulin is a kilometer south of La Curva. This spot can get especially good during dry season. It is not the most beautiful beach of Costa Rica, often there is some driftwood and trash floating around. But the waves make it worth surfing here. 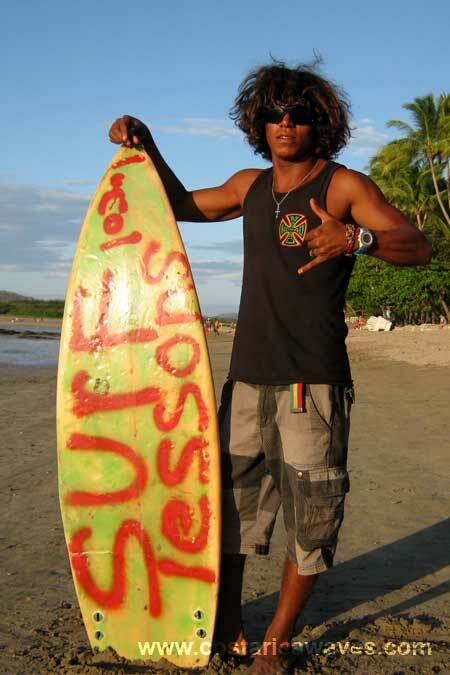 You should be an experienced surfer to go out at Tulin. At low tide the sand banks create big tubes at Tulin. The disadvantage of Tulin is that it is a beach break and so it can be difficult to get to the line up when it is big and the waves break far outside! Study the incoming sets before you jump into the water and start to paddle..